Sydney’s fringe districts are benefiting from the city’s new lock-out laws, with developments rising at an exponential rate and rents climbing as incentives dissipate. A number of office towers have gone under the hammer, offering buyers the chance to convert the space for residential use, as well as new greenfield developments with mixed use components. According to agents, the lock-out laws in the city are causing pubs to close entry earlier, resulting in a rise in new “eat streets” and bars in the suburbs. Recent sales include the Wakil Family’s sale of the Griffiths Teas building on Commonwealth Street in Surry Hills to Cornerstone Property Group for $22 million. At Central Park in Chippendale, the newest downtown laneway precinct, Kensington St, has been launched. Kensington St is located on the eastern boundary of the $2 billion master-planned Central Park project in Chippendale and has launched 26 tenancies for lease. Greencliff is both the developer and leasing agent for Kensington St and has said that part of the precinct includes the Unlisted Collection’s boutique hotel, The Old Clare, which has secured UK chef, Jason Atherton. Greencliff CEO Dr Stanley Quek said that visitors will be reminded of the streets of Brooklyn in New York, Abbot Kinney Boulevard in Los Angeles’ Venice Beach, or Brick Lane in East London. The laneway is anticipated to be like any other pedestrian laneway precinct currently in Australia. Dr Quek said that the idea was to create an area with “energy and buzz” to cater for the wide range of demographics in the area from students, to office workers and families. Knight Frank, said the lack of supply of commercial warehouse conversions has really controlled the uptake by tenants so far. “With the sale of 25,000 square metres at 100 Harris Street, this supply will be essentially unlocked, and I expect it will be soaked up very quickly by tenants. We are currently dealing with a number of tenants between 5,000 square metres up to 15,000 square metres, seeking space like this in this location,” Mr O’Brien said. “Companies are still driving hard to occupy less traditional office environments. Information technology companies, designers, fashion labels and even your more traditional office occupiers are all considering this kind of space now. “Warehouse conversions like the recent Arena assets in Pyrmont and Broadway have been attractive to both inbound tenants historically and more recently, prospective purchasers. Most importantly, the yields they are trading at are now on approaching parity with your typical office assets. Suburban pubs have recently found demand from both onshore and offshore investors, in response to Sydney’s lock-out regulations. 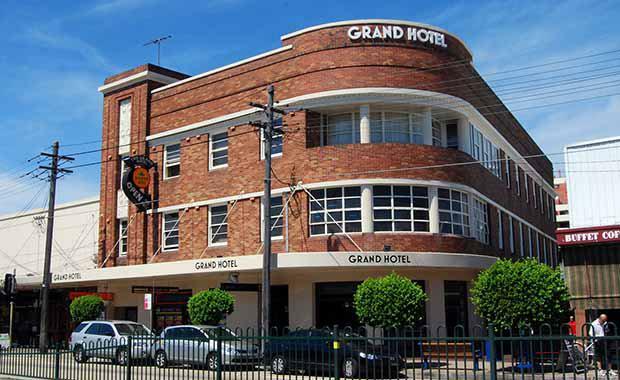 Hotel Bondi to the son of the original owner, Cyril Maloney. The sale attracted 14 bidders from around the world. Mr James Aroney, JLL Hotels & Hospitality Group capital markets director, told the Sydney Morning Herald that demand for sites for residential conversion and redevelopment continues unabated across the capitals. “Strategically located properties are well placed to harness this wave of equity presently.” Mr Aroney said. Hotel Bondi is located next to the Swiss Grand Hotel which has been converted into world-class Pacific Bondi Beach luxury apartments and hospitality development, planned for opening 2015.